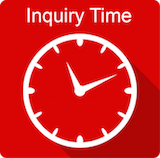 In addition to accessing BARC’s full research catalog, BARC Access clients are also entitled to inquiry time with BARC analysts. This gives you the opportunity to connect directly with members of our business intelligence analyst team to discuss your project. Our basic research package includes two hours inquiry time for you to glean expert knowledge and advice in order to steer your project in the right direction. All BARC analysts are also practising consultants with a wealth of experience in supporting companies with their BI software selection processes, as well as advising on issues such as BI strategy, organization and architectures. As BI specialists with no affiliation to any software vendor, we are uniquely placed to share our expertise on the BI tools market from a strictly vendor-independent point of view.